Starmobile Online Store Now Live! 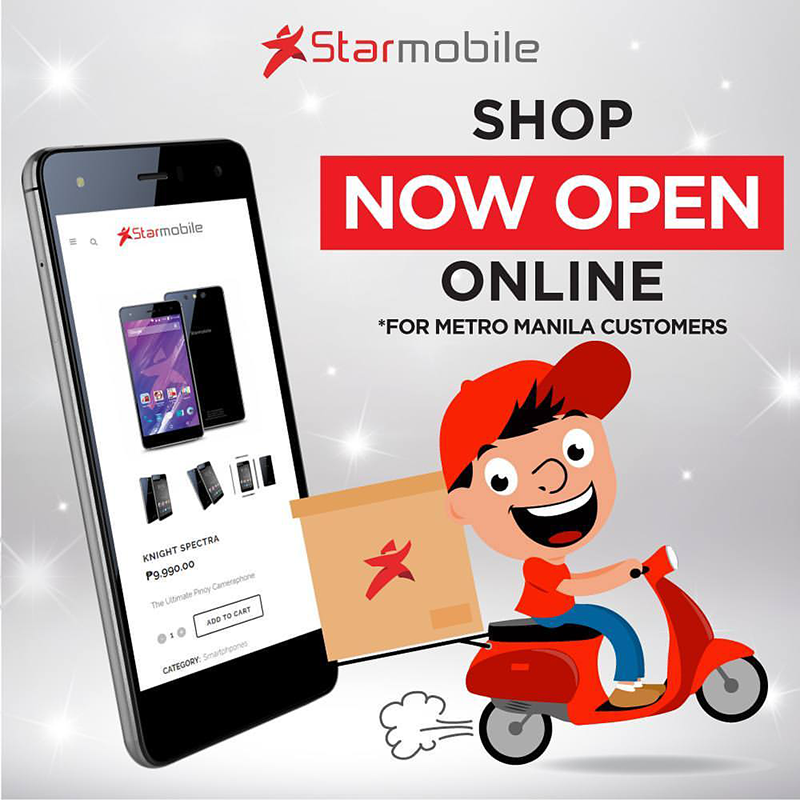 Home / mobile / news / starmobile / Starmobile Online Store Now Live! With the goal of serving and reach their customers better, Starmobile has launched their online store - www.starmobile.com.ph/shop. It's a portal where customers can purchase their latest smartphones, tablets, and laptops this holiday season. This new online store is also a great way to beat the traffic and shop for your desired devices without the need of going out of your houses. For now, the online shop is being piloted in Metro Manila. It'll roll-out in other key cities such as Cebu, Iloilo, Bacolod, and Davao this February of 2017. Note: Starmobile online shoppers can pay through their credit cards using PayPal, online, through ATM, or over the counter at leading Philippine banks, going to non-bank outlets such as Cebuana Lhuillier, LBC, Bayad Center, M. Lhuillier, Robinsons Department Store, SM Department Store / Supermarkets / Savemore, ECPay, Metrobank Remit, PNB Remit, Ventaja, and CashU, or using mobile services like GCash and BPI Globe Banko. Then for the whole month of December, shipping to Metro Manila is FREE and the first 10 buyers of a Knight Spectra will get a free Tempered Glass.